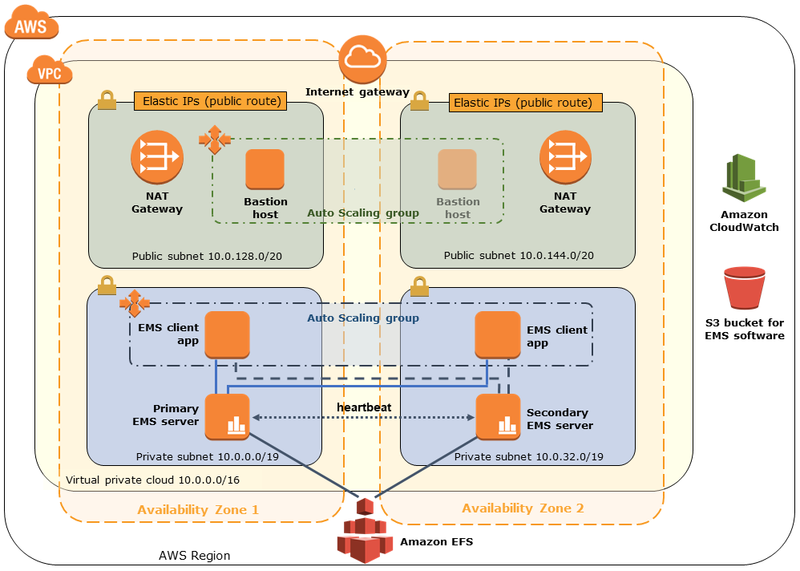 This Quick Start automatically deploys a Puppet master and Puppet agents on AWS. Puppet is a declarative, model-based configuration management solution that helps you define the state of your IT infrastructure, and automatically enforces that desired state on your systems. Define idempotent configurations, and apply them at regular intervals to keep your systems in the desired state. Use multiple agent types across a variety of operating systems. Extend the capabilities of Puppet with code from the Puppet Forge. 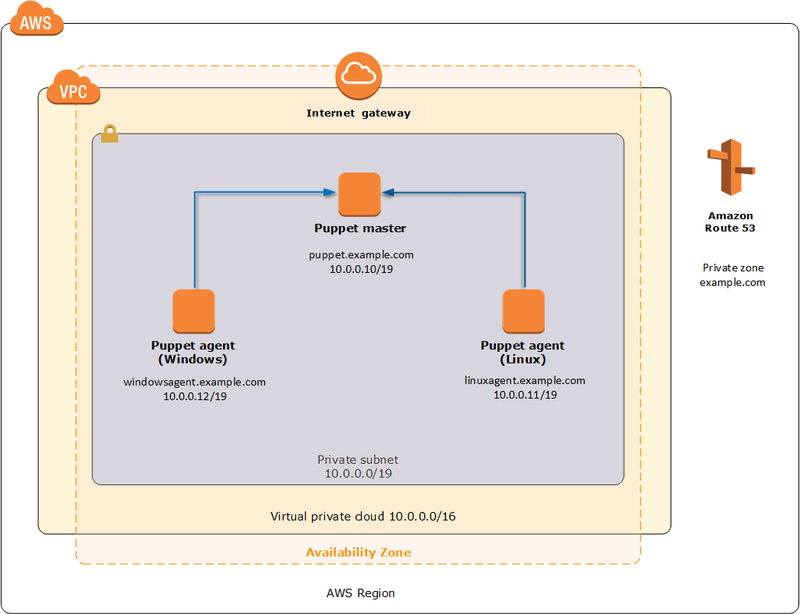 A virtual private cloud (VPC) with a single, public subnet in the AWS Region you choose when you launch the stack. One Puppet master deployed into the VPC subnet. During instance launch, the Puppet master is bootstrapped to automatically install all required software along with Puppet modules and manifests that can be used to configure the Puppet agents. One Ubuntu Server deployed into the VPC subnet. The deployment guide provides step-by-step instructions for applying a web server configuration that will install and configure the Apache web server and PHP. One Windows Server 2012 R2 server deployed into the VPC subnet. You can follow the walkthrough in the deployment guide to apply a web server configuration that will install and configure the Internet Information Services (IIS) web server and ASP.NET. Launch the Quick Start and customize your settings. The deployment takes about 20 minutes. Configure your Puppet agents. You can follow the walkthrough included in the guide to learn how to apply configurations to Puppet agents and to install a basic web server. The walkthrough shows you the benefits of automating software installation and configuration, and ensuring that your system settings are repeatable, consistent, and always in their desired state. Customization options include CIDR ranges for the VPC and subnet, and IP addresses for the Puppet master and agents. You are responsible for the cost of the AWS services used while running this Quick Start reference deployment. There is no additional cost for using the Quick Start. Prices are subject to change. See the pricing pages for each AWS service you will be using for full details. This Quick Start deploys Open Source Puppet version 3.8.6 by default. Open Source Puppet is available to download and use under the Apache 2.0 license. You can upgrade to Puppet Enterprise by registering with Puppet Labs and downloading a free trial to manage 10 nodes.